Do you have an opinion on people who litter? Almost everyone does. Unfortunately, for those living in crowded urban areas, it’s really just a fact of life. Governments and societies try to crack down on it, but many people just don’t listen. 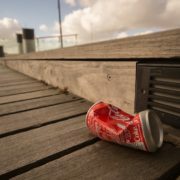 One anti-litter group decided that enough was enough, and they took a fairly radical step to fight the problem. But, did they cross any ethical lines themselves? That’s up to you to decide. Hong Kong is a city full of people. As a matter of fact, the more than 7 million inhabitants crammed into such a small place ranks it as the fourth most densely populated region on the planet. 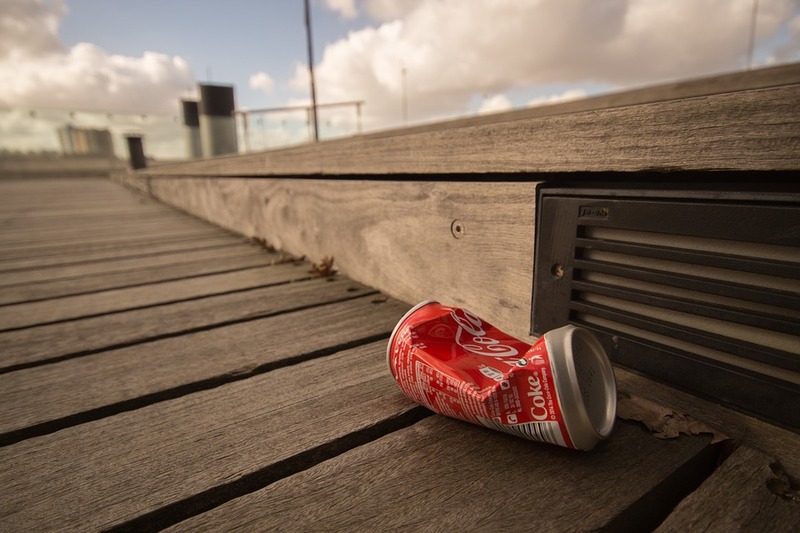 That many people always adds up to a logistical nightmare when it comes to waste disposal, but it doesn’t help that littering seems to be the official sport. Every day, there is more than 16,000 tons of waste dumped in the city, and this has given life to the Hong Kong Cleanup Initiative. The organization’s name is pretty straightforward about what they do, but you might be surprised to learn that they literally launched an in-your-face campaign to combat the problem. 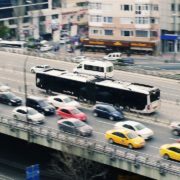 The government has already tried many methods of going after this problem, so the campaign had to find a unique way of getting to people. There are pretty hefty fines given to anyone caught littering, but that just wasn’t motivational enough. 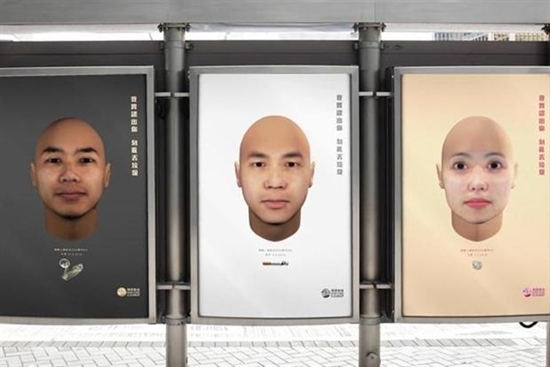 This led the environmental group to team up with Ogilvy & Mather Hong Kong to try and put together something that would really get people listening. So, the strategy decided on for this campaign was to do a bit of shaming for the litterbugs in society. This whole project was called the Face of Litter Campaign, and they had the perfect day to launch it: Earth Day. Leading up to it, teams had worked to collect garbage, and they managed to pick up more than 4,000 tons from the streets. Then, they gave it to some scientists to work their magic. What Tech Did They Need to Do It? Scientists at Parabon NanoLabs used Snapshot™ DNA phenotyping to analyze who had touched the various garbage samples, and this allowed them to make a digital drawing of the litterbug responsible for each individual piece. They tended to focus on bits of garbage that would have physical bits of people left behind, and some of the favorites were coffee cups, cigarette butts, and condoms. This technology has the ability to predict eye color, hair color, skin color, freckling, shape of the face, and a lot more about people just from a tiny amount of their DNA. It may sound like something out of science fiction, but that’s the world we live in today. The Hong Kong Cleanup Initiative has some great programs in place to clean up the trash. 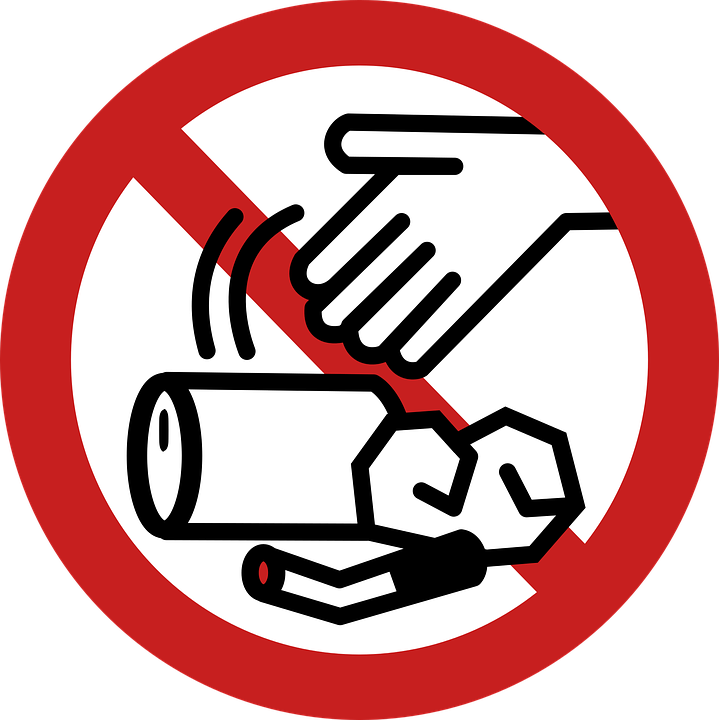 Unfortunately, they were really stuck in the pattern of cleaning up after people, and they weren’t having much success in preventing littering in the first place. That’s where this campaign really helped out – it got people talking. In only two weeks, it managed to get 3.9 million engagements on social media, and $5 million in earned media coverage. This campaign was very successful by many measurements, but it does raise some ethical questions. The pictures that were shown were generated drawings of theoretical people, but is it appropriate to publicly shame people? Even if it works to solve a problem, it can cause harm to people who may or may not deserve it. We don’t have the answer to this, it’s really up to you and your own personal beliefs. A major takeaway from this campaign is how science can be used in advertising. It’s likely that this whole project would have been far less interesting if they had simply taken photographs of people caught in the act of littering. It really stands out because of the amazing science that many people didn’t realize was possible, but then it was the perfect chance to convey the message once it had everyone’s attention. How far will your advertising go? Have you ever done anything similar to get your message across? You don’t necessarily have to be so aggressive with your advertising tactics, but this doesn’t change the fact that pulling stunts like this will get you talked about. So, don’t be afraid to push the limits, but make sure you’re thinking about your image as a whole before you do anything too crazy. If you’re not sure how to do this on your own, just give us a call. We’re ready to hear your ideas! If you own or run a business in Puerto Rico, there are many different ways that you can promote it and try to gain a larger customer base. The entire advertising industry has changed a lot because of the advances in technology, but that doesn’t mean the traditional methods are simply things of the past. In today’s world, you can put signs on the side of the road, print ads in the hands of customers, or blast them with digital pixels on electronic devices. All of these methods can work to accomplish different goals and reach different people. Here, we’ll focus on three of the most successful strategies to use in Puerto Rico. If you use a mixture of these methods in your business, you should see some pretty strong results. Puerto Rico is densely populated, and everyone here knows that. With more than 3.5 million individuals living together in 3,515 square miles, the island has more than 1000 people per square mile. Mixed in with all these potential customers is about 3 million registered vehicles, so that works out to being a lot of people sitting in traffic with eyes ready to see your billboard. Also, studies have found that more than half of people discuss interesting messages they see on billboards, and a quarter of people go to a store because of what they read. Many of these people are already in the car and ready to go shopping, and those are pretty good odds for any marketer. Billboards should be primarily used to target a very general audience. There’s no way to change the sign for each customer, so a wide message about your brand is the most helpful. Electronic signs give the possibility for quick successions of ads, but they still get blasted across the population. Outdoor advertising like this is a great way to remind people that your company still exists. Overall, they’re a great way to increase brand recognition. This can really be the difference between consumers choosing your brand from a competitor’s product when they’re sitting next to each other on a shelf. There are a ton of social media platforms already, and new ones are being launched every day. Many of these have possibilities to advertise inside of them, and they can be useful because they’ve already convinced users to give them treasure trove of personal data. In other words, the networks know what people are interested in, so you can make sure to only pay for showing your product to consumers who are likely to buy it. But, out of all the choices you have, Facebook is your best bet in Puerto Rico. The amount of users on the island has been steadily increasing, and it was nearly 90% during 2015. 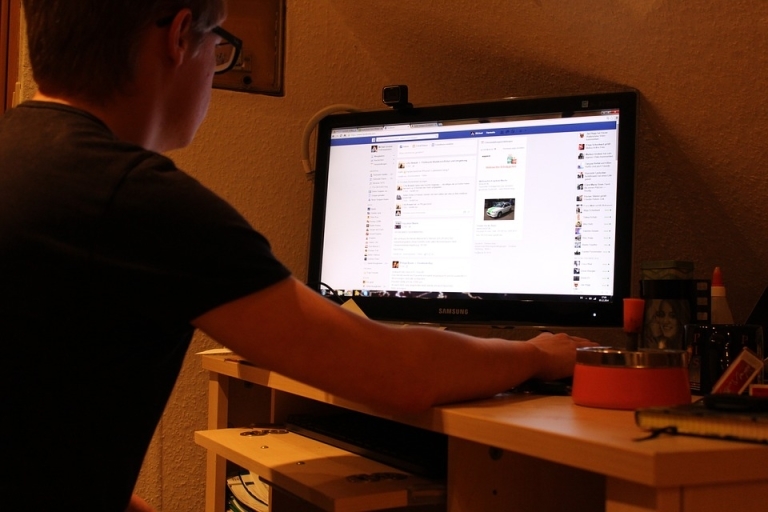 That means that nearly everyone has an account, and many of them use the social network on a regular basis. You should plan on using Facebook to advertise when you have some unique and interesting content to draw people in. There is a lot of clutter, so words alone probably won’t be noticed. 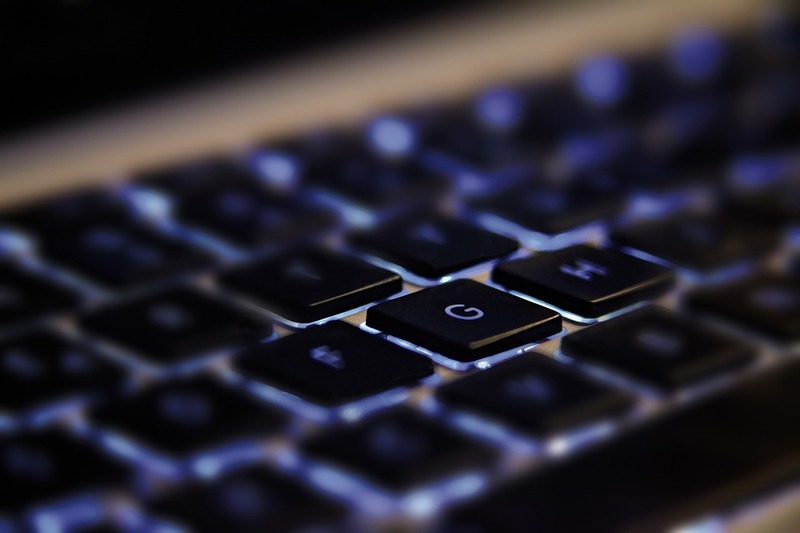 However, if you have a video or an interesting blog post to attract user’s busy eyes, you might just get a click. If they really like what they see, they’ll share your post. And a recommendation from a friend is something that money can’t buy! Don’t forget that the internet is a big place, and social media is only a small part of it. Getting noticed in the top few results of a Google search for a broad term can be quite tough. But, you can get pushed even higher on the list with a relatively small investment. Using Google AdWords, you can pay to have your result pop up (with a notification that it’s a paid ad). However, you need to make sure that you use some search engine optimization (SEO) strategies before doing this. This is another chance to really narrow the viewers of your ad to a specific target group, so make sure you learn what people will be searching for before you write your ad – and only include the best terms. This option should be used when you have a very specific message for a very specific group of people. You’ll benefit from using one of these methods, but the real power is in using all of them. However, you don’t need to just start throwing money. Make sure you have an overall strategy to see how they can all work together, and be careful to let them each take advantage of their specific strengths. Don’t necessarily split your marketing budget evenly – think of it as one big number that’s going to increase your bottom line! Billboards are a great medium to use when you really want to get your message to your customers. Some people think they’re outdated in an increasingly digital world, but there’s a reason they’re still going strong everywhere from Times Square to Puerto Rico, they work! The first important aspect of creating an effective billboard is making sure that it’s targeting a specific group of viewers. Since such a wide variety of people will be exposed to it, it’s very tempting to try to advertise to everyone. 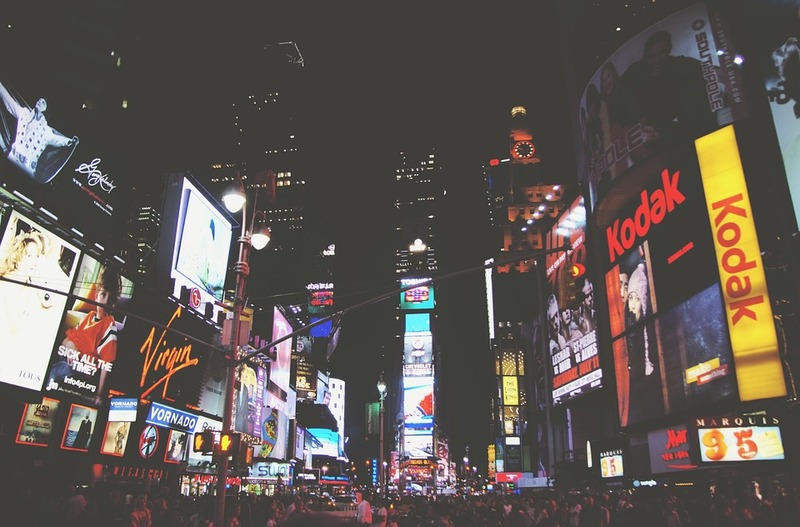 Studies have shown that targeting a specific demographic using your billboard can often get the message across far more clearly than going after a broader group. Instead of a lot of people getting your message, it generally turns into no one hearing it. When you decide on a target group, you’ll know who you’re talking to. Once you know exactly who’s going to be listening, you know how to craft your message in a way that they’ll hear it. Too many words end up being too much information to remember. Don’t forget that people often see billboards when they’re driving or busy doing something else, so they don’t always have the chance to stop and read – even if they want to. Make sure you get your point across as quickly as possible. A good general rule is to use a maximum of six words on your billboard, as this is about the most that people can quickly take in. But, just because you can use six doesn’t mean that you have to. Using only one word can be great. Zero words can be amazing. The next step is to keep your billboard understandable. When you’re trying to sell something, you don’t want to show off in a way that strains the brain of your customer. If someone really has to stretch to understand what you’re saying, they might start feeling stupid. Once they associate your brand with that feeling, people aren’t really going to have a lot of motivation to give you their money. But, if you make your billboard easy to understand, your customers will start to feel good about themselves. Suddenly, you’re the brand that they relate to, and that’s who they want to have in their life. We’ve already covered why your billboard should only have a few words and why it should be easy to understand, but it’s also extremely important to make sure people can read it. By this, we mean to make sure the actual design can be taken in by the eyes of your customers. Don’t use elaborate fonts that are difficult to make out. Don’t use colors that are so similar that they’re hard to tell apart. Make sure the billboard has lots of contrast between the different elements, but also make sure they’re colors that go well together. This is near the bottom of the list, but it’s still one of the most necessary parts of creating an effective billboard. It really should be done at the same time that you define your target. Make sure that you have a specific result that you hope for the sign to accomplish, or you’re just going to be creating a colorful banner. It doesn’t need to be a complicated or difficult goal. Do you want to get more people in your store? That’s a great goal. Do you want to make sure potential customers learn about a promotion? That’s another. What about just making people interested in of your brand? That’s one of the most common reasons for creating a billboard. Now that we’re talking about your brand, that brings up a really good piece of advice. 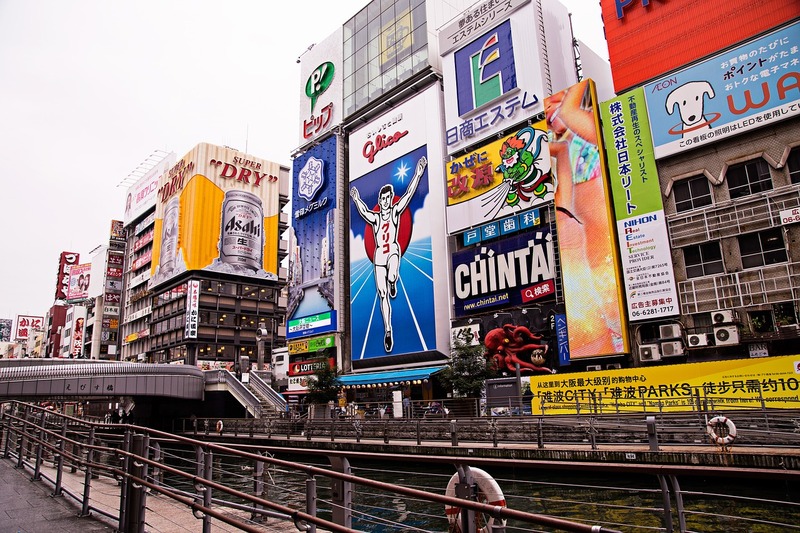 Think about using the billboard mostly to keep your brand in the eyes of your consumers. They’ll see your message every day on their way to work, but they don’t always have the chance to stop and read it. Or, they may not even have a need for your products or services at the moment – but the sign will still be there. If your name has been melted into their brains during a morning commute every single day, they’ll take that into consideration when they encounter you in a shop. You’ll feel like a trusted friend who has always been there for them. Now that you have all this new knowledge about billboards, why not put it to the test? Give us a call, we are the largest provider of outdoor media in Puerto Rico and can help you get started creating an effective billboard advertisement. We all know that the day would come that robots would invade our world, but it looks like science fiction was being overly dramatic in a lot of the horror stories. They never mentioned how profitable the robots would be. That’s right, we live in a world where billboards are thinking. They can read you, decide what you’re thinking, and give you the best possible ad. From there, all you can do is grab your credit card. Did you know this was an option for your business? So, What is This Intelligent Billboard? 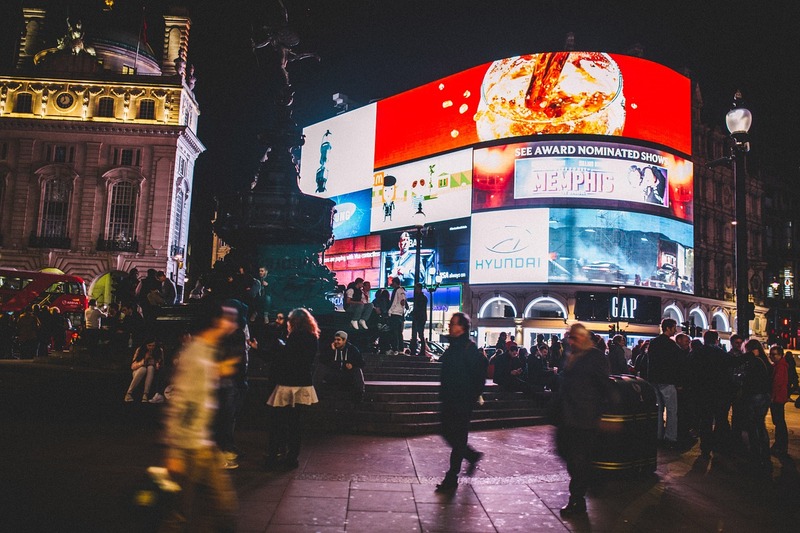 Billboards were installed in London last year as a test of the technology to see if it was possible for a computer to successfully design the perfect ad – on its own. They had a digital display, and they had a camera inside to read the people looking at them. The first step was to decide what sort of mood the person was in. Then, depending on whether the viewer was happy, sad, or neutral, it would display a different version of the ad. Afterward, it analyzed the responses to measure how successful the ad was. Finally, it repeated the good ads and trashed the bad ones. You might imagine that they developed some sort of incredibly advanced technology to make this happen, but that actually wasn’t the case. This was put together by the M&C Saatchi Advertising Agency, and they were working with Clear Channel and Posterscope to make it happen. The billboards just had a Microsoft Kinect camera inside, so they were really just using technology that had already been developed for playing video games. Kinect is able to read people’s reactions, so it gets the job done. Unfortunately, this whole campaign probably created a lot of angry customers. For the experiment, the advertising agency decided against using a real brand, so they simply made one up. The product was an instant coffee called Bahia, and it’s not the type of thing that usually draws a lot of attention. The billboard was only advertising the one brand, so it was fairly limited in what it showed. It didn’t promote sports cars to one person, laundry detergent to the next, and allergy medicine to a third. Instead, it was programmed to use a series of different fonts, colors, and styles to see how different people reacted to the plea to buy coffee. While the first instinct of many is that this whole idea is kind of creepy, it can actually work to improve everyone’s life. If you remember that the main goal of advertising is to let people know about products or services they want, then this just helps eliminate all the noise on the street. 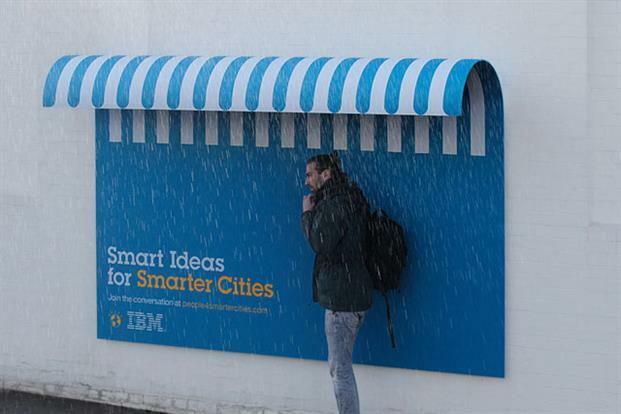 Instead of wasting your time, these smart billboards were able to show people what they wanted to see. Also, since it measured reactions to see what people liked and didn’t like, and it can help make higher quality advertising in the future. It’s basically like having a focus group that’s composed of, well, everyone. The internet has become a great place for businesses because it makes it possible to measure things in a way that has never even been remotely possible. A lot of companies have been using it as an excuse to steer away from more traditional forms of advertising media, but this could put a stop to that pattern. Internet browsing history is a great way to build a profile of your customer, but nothing beats walking around town with them and asking them their opinions. 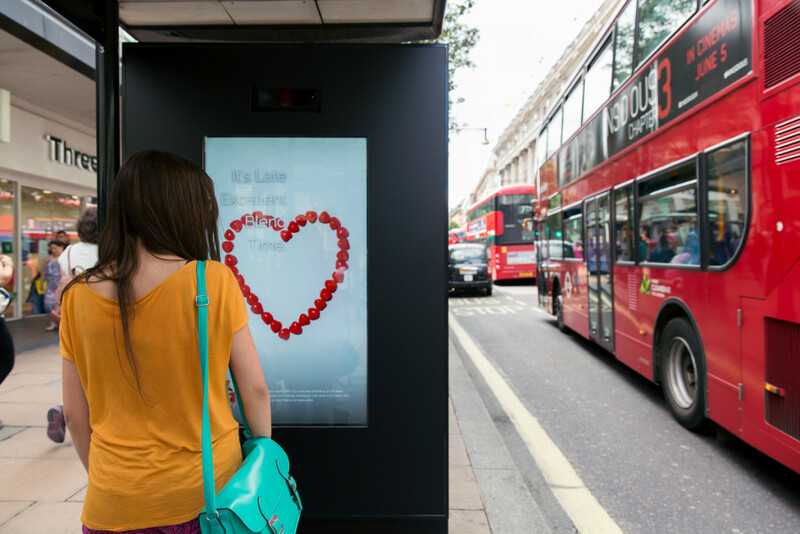 If this technology can be in a few bus stops in London, it might not be long before it’s all over the globe. One nice feature about this little experiment is that it was designed in a way that wouldn’t let it cause any invasion of privacy. It didn’t follow the standard internet strategy of storing all your information. Even if it did, it wouldn’t make a huge difference because it never actually knew who it was looking at. Do you use similar techniques in your business? Even if you don’t want to go to such extreme measures as this campaign did, are you taking advantage of modern advertising strategies? 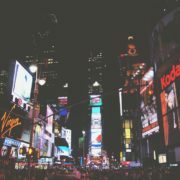 The marriage of technology and traditional advertising is a key relationship in influencing consumers. Over the last 50 years, the marketing game has changed drastically. It has closely followed developments in technology starting with print, then moving to radio, television, and now the Internet. With the unwavering popularity of the Internet, this form of marketing has infiltrated our daily lives to an extent that no one could have ever predicted. Beginning on a single household computer, now every member of most families has multiple devices that connect them to the online world. From phones, to tablets, to laptops, the average person connects to the Internet multiple days per hour! This has presented advertisers with an opportunity to reach their audience like never before, but it also presents significant challenges. In the industry we call it ‘too much noise’ – and the basic concept is that people are being so over-marketed (especially online) that it’s hard to cut through all the noise to get your message across. For example, Facebook advertising is slowly becoming a very lucrative and effective way to reach a wide audience. However, the average Facebook user scrolls through an abundance of ads every single time they log in, so it’s tough to make in impact. While many companies have moved online for their advertising efforts, traditional efforts still reign supreme in some markets. One good example, which is also the one we work in every single day, is billboard marketing in Puerto Rico. As anyone who has lived on or visited our wonderful island knows, traffic can be a major problem. Nobody likes traffic, it adds to a lengthy work day, and can be overwhelmingly frustrating just sitting in your car not being able to move for long periods of time. While most would agree that there’s nothing really good about the traffic in Puerto Rico, the one major benefit comes in the exposure of billboards. The driver of a car should never be looking at their phone while operating a vehicle, so their only choice is to look out the windshield at what’s in front of them. 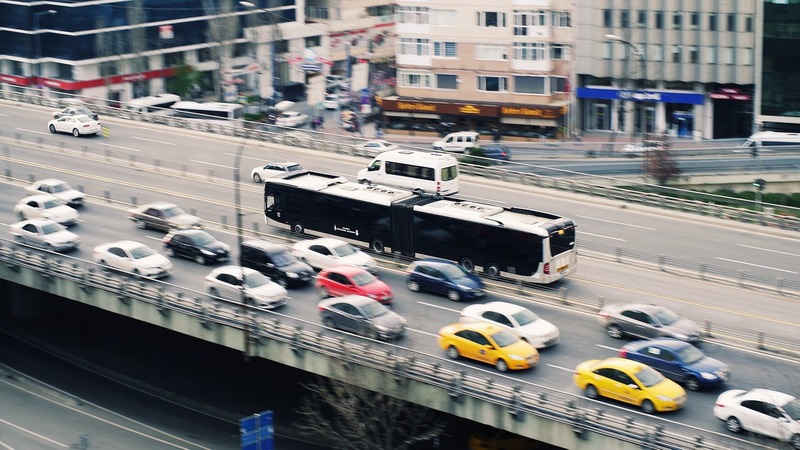 Strategic billboard placement in high traffic areas can be a very successful method of getting marketing messages across as drivers really have no choice, but to look at them. Effective traditional marketing efforts are not limited just to billboards though, believe it or not there is still a large sector of the population that reads the newspaper every morning and orders magazines for their interests! 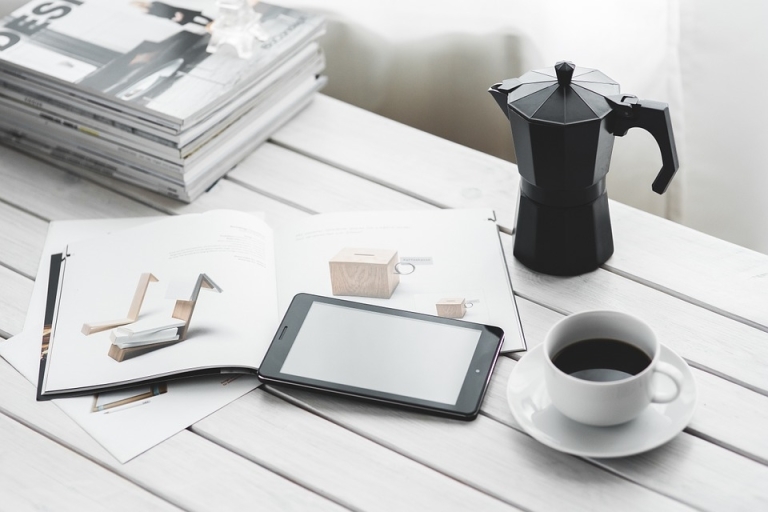 While online has inevitably engulfed a large portion of these types of marketing mediums, for specific products usually targeting an older demographic, traditional print and other forms of marketing are still used often. In a world where people are exposed to nearly 5,000 advertisements every single day, cutting through the noise can be a very difficult endeavor. This is where strategy and creativity come into play which when combined produce some of the most beautiful and effective advertising. Appealing to people’s sense of humor or humility are common methods of getting a message across, but even being different and creative is no longer original enough to make an impact. What marketers are seeing these days is that volume and frequency of advertisements is one of the most effective ways to cut through the noise. Content marketing is a common tactic for companies to get their brand in front of people on a regular basis. This is where the marriage between traditional and digital marketing comes into play. Advertisers must constantly remind their audience of their products and services, so the best way to do so is to get in front of them as often and in as many different ways as possible. Let’s revisit the example of outdoor media in Puerto Rico. If a driver is on their way to work and gets stuck in some traffic trying to get across San Juan, they will see a number of billboards along their way. At one particularly slow point, they notice a billboard for a beautiful new watch. They’ve been in the market for a watch for a few months now and this advertisement managed to catch their attention. While they are at work they decide to take a break during lunch and investigate some more information about the watch they noticed on the billboard during their drive. An effective web strategy would be able to capture this web visitor’s information, drop a cookie in their browser, and then show personalized ads to them on the web and social media for the watch they were looking at. 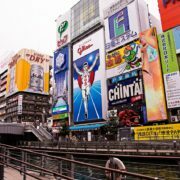 While the billboard may have sparked the initial interest in the product and caused the person to gather more information, it will be the persistent reminder of targeted Google advertisements in their web browser or ads showing up in their Facebook news feed that eventually lead to making a purchase decision. Coke’s Mini Ads for Huge Results! By no means is it an exaggeration to say that the Coca-Cola Company is one of the largest companies on Earth. In fact, it was listed as the world’s third most valuable brand in 2015. And it’s been going strong since its introduction in 1886. It may be a company valued at $83.84 billion, but that doesn’t mean that Coca-Cola’s only focus is on getting bigger. In fact, one recent ad campaign was built around making things tiny. Really tiny. The product they were selling was mini cans of Coke, so they had to do something to keep with a theme of being smaller than normal. They couldn’t be overly dramatic and shrink the world, but they could shrink the shops that sold the drink. And they did. The campaign in question was played out in five different major cities throughout Germany. 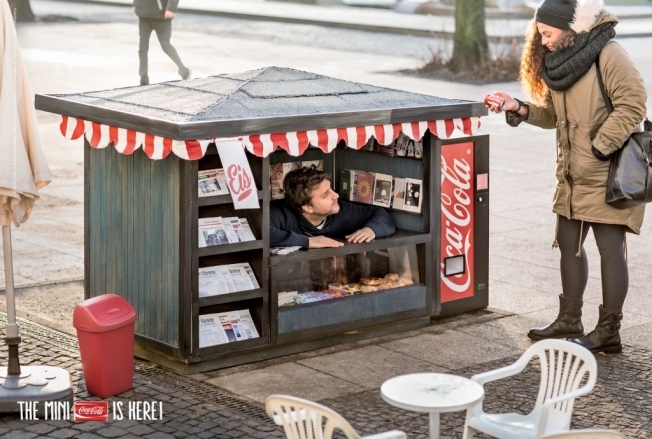 Basically, Coke installed sales kiosks that looked exactly the same as the hundreds of others that the city dwellers would wander past that day, except these new ones were very small, and they had a mini machine and a person inside. The vending machine was the right size to still pop out the new 150 ml can, but it looked more like something that elves would shop at. Interestingly, the shops were fully functional, and they sold many different mini products. But, the whole setup was designed in a way that would showcase the little cans of Coca-Cola. The only exception to the tiny plan was the person inside. These vendors were a normal height, but they were positioned in such a way that kept them at the same level as the counter. It was brilliantly put together in a way to keep the illusion alive. Unfortunately, these mini kiosks were only there for a temporary time in 2014, so you don’t have the chance to hop over to Germany and go visit them. But, they made sure to give you a way to visually relive the experience. 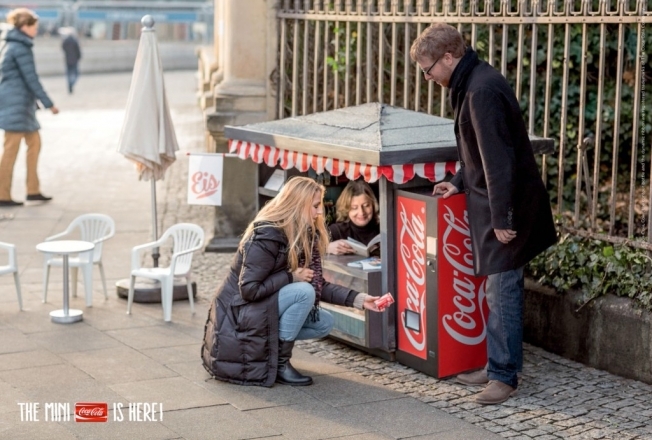 They did this by also creating some print ads showing the kiosk as well as a video that could be shared online. This whole campaign was built around a central motto: “It’s the little things in life that make us happy.” So, it wasn’t about spreading the knowledge, sampling a new flavor, or rambling on about some new innovative production process. Instead, it really just aimed to show people that they could be happy, even from the littlest things. Such as a 150 ml can of Coke. Instead of going big and corporate, they decided to use guerrilla marketing in a localized location. They anticipated that people would get a kick out of it, and they wanted to take advantage of social sharing to spread the message. And, as always with Coca-Cola, they wanted to improve the customer experience and keep on building up that brand. 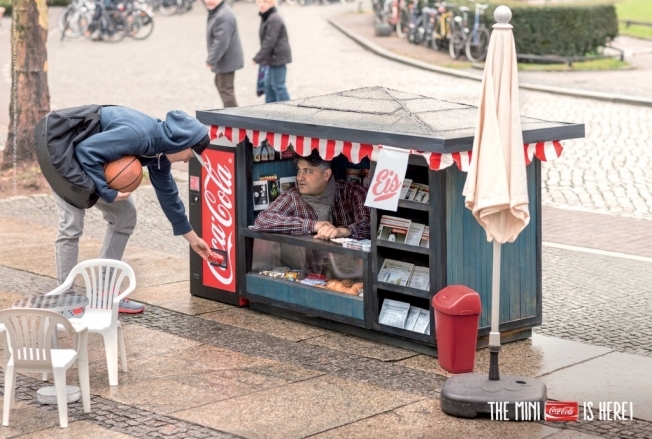 Soft drink companies generally fight viciously over interior space for their advertising, but this campaign shows it doesn’t have to be that way. Coke easily could have made some big stunt inside of the stores, and they did put a lot of marketing materials there, but not this particular campaign. Sometimes advertising a product where consumers don’t expect it is a great way to get noticed. This really stood out because the scene was so typical, but so different, that people couldn’t help but notice. It really broke through all of the noise of the competing advertisements. It wasn’t just the Coca-Cola Company that came up with this idea, and the advertising agency behind it was Ogilvy & Mather Berlin. They were pretty proud of the results, and among other awards, they walked away with multiple honors in the 2014 Cannes Lions International Festival of Creativity. They’ve had polar bears, athletes, normal people, and even Santa Claus as spokespeople for their drinks, but, most of those live in print ads and on television. So it was refreshing for everyone involved to see a campaign get into the great outdoors. Also, they’re still at it with the mini ads. This year they ran a Superbowl spot featuring the Hulk and Ant Man (two Marvel characters), and they engaged in a big chase to see who could get the little Coke. On average, there were about 380 of the mini cans sold each day of the campaign, and that’s a 278% increase of normal vending machine sales. But, that wasn’t the point. The main goal was to contribute to their overall brand image, and it really had to meet their claim that Coca-Cola will “open happiness.” It stuck out to customers and gave them the feeling that Coke is fun, relevant, and something that makes them happy. It doesn’t matter what your product or service is, there’s always a way to use outdoor media to strengthen a brand as a whole. Are you taking advantage of that? If not, feel free to contact us today. 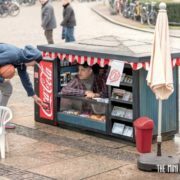 http://billboards.bmediagroup.com/wp-content/uploads/2016/04/coca-cola-mini-kiosk-1.jpg 439 652 AdminBMedia http://billboards.bmediagroup.com/wp-content/uploads/2016/10/logo-1.png AdminBMedia2016-04-13 00:06:192016-12-16 17:06:56Coke's Mini Ads for Huge Results! There’s nothing better than catching some sunshine on a hot day at the beach. But, after some time lounging, swimming in the ocean, and digging in the sand, there are two things you want: A cold shower and a refreshing drink. Most companies skip straight to the second part of this consumer need, but one was thinking outside of the bottle with a guerilla marketing campaign. And it worked. This whole event was part of a outdoor media campaign in 2012 that the Coca-Cola Company used to help promote Sprite. Essentially, they built a giant soda dispenser complete with the famous green and yellow logo of the lemon-lime drink, and they invited people to stand where the cup would usually go. Once the beachgoer pushed back on the giant lever, a shower would rain down on them. The best and worst news about the campaign is that it only poured water, not Sprite. Less refreshing, but also less sticky people. They mixed the giant contraption with the opportunity for people to have samples of the soda, and it created quite a stir. Since the summer days on the crowded beach in Brazil could get up to 40°C, there were a lot of people looking for something to cool them down. It managed to shower more than 1,500 each day that it was in place, and you can be sure that these people made an association in their mind with that green label. But, Why Wash All Your Potential Customers? If you’re selling drinks, this sounds like a fairly silly tactic. Why wouldn’t you just spend the money on samples of your product, and then freely pass them out all over the beach? Well, that sort of strategy can work, but this was better for many reasons. First, it was talked about. No one rushes home and tells their friends about having a free drink, but they are quick to share their story of becoming a soda. Next, it created important mental associations. If potential customers are just handed a drink on a hot day, they’ll down it and not think twice. But, if they physically feel refreshment both outside and inside of their body, they’re much more likely to associate that brand with a positive feeling. And that’s the kind of thing that will make a difference when they’re staring at a fridge full of competing brands. Also, this gives identity to a brand. The other companies may make fine products at similar prices, but this one is playful. When happy people head out for a day in the sand, they want to take some brands with them that match their attitude. What Was the Reaction of the Advertising World? In short, it was positive. That’s a big part of the reason that we’re still talking about this campaign a few years later. 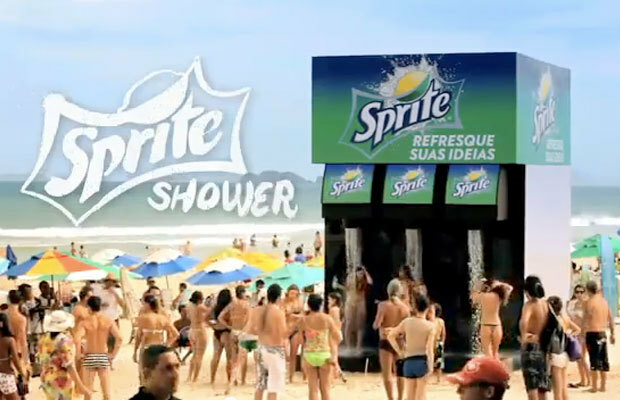 The agency behind the giant soda shower was Ogilvy Brazil, and they were quite praised for the idea. It was quite talked about at the Cannes Lions International Festival of Creativity where it won multiple awards, and it even took home a gold in one category. It’s definitely worth noting that this stunt fits in well with the brand image that the soft drink has been working on for years. Sprite has made a name for themselves over time as being trendy and making sure that the younger generations know they’ll be stylish if this is what they’re drinking. They’ve had a lot of basketball, hip-hop, and street art in their campaigns, so they fit right in placing themselves in the middle of a beach party. One of the biggest takeaways from this campaign is that marketing really comes down to creative solutions, and it’s about much more than just getting the word out. It can be fairly expensive to invest in many forms of advertising, and this causes many people to hesitate about getting the word out. But, sometimes a campaign can be about getting your customers to decide why they like you, and then make sure this new fact sticks into their mind. 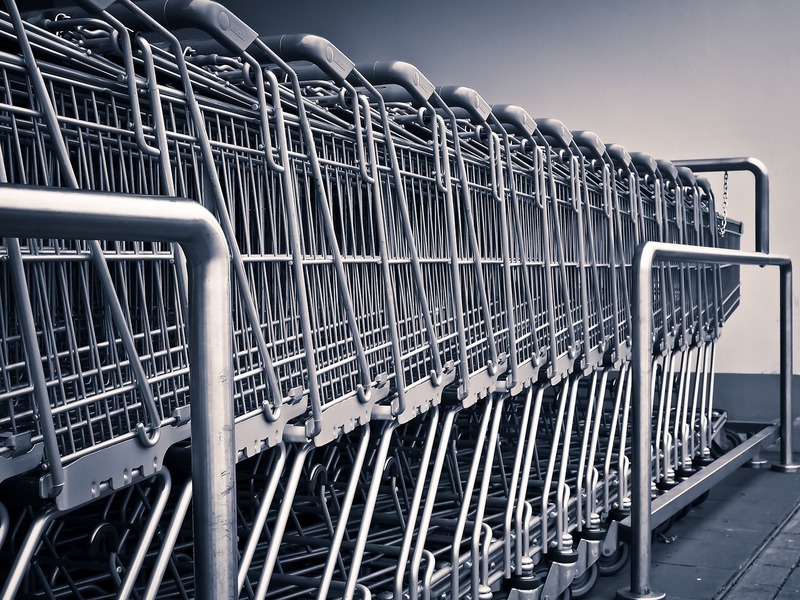 It might not get them to drop what they’re doing and run to the store, but it can be a big part of building a loyal customer base throughout the years. If you don’t want to build a giant soda machine but still want to show some love to your customers, then try to think outside of the box. And don’t worry if you’re having a slow day in the creative part of your brain, just give us a call and we’re happy to help. 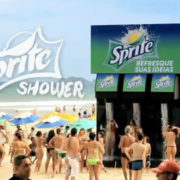 What do you think of the Sprite Shower? 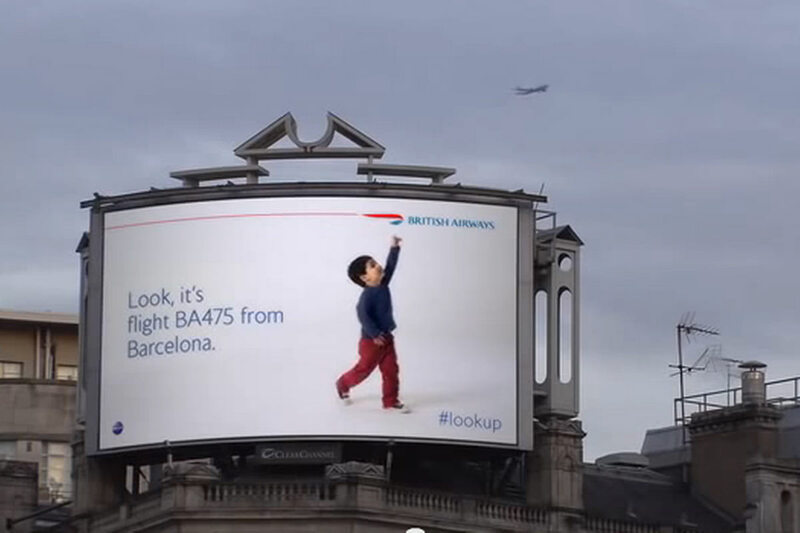 In the case of a recent British Airways advertising campaign, the sky was literally the limit. 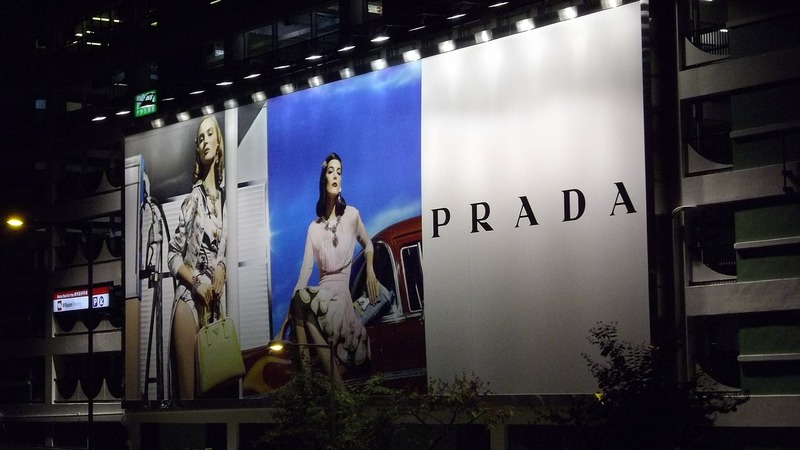 Through a mixture of old and new, they pushed the limits of billboard advertising to give the world something that had never quite been seen before. When measuring by size of fleet, number of routes, and revenue, British Airways is the largest airline in the United Kingdom. However, the industry is incredibly competitive, and the company still has the desire to soar to new heights with their ad campaigns. 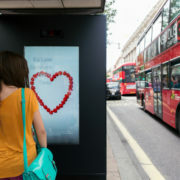 This led to them creating two digital billboards in London. These specific signs were located between the view of people on the street and the flight paths of planes coming and going from Heathrow Airport. Advanced technology was integrated into the display that could track planes as they flew overhead, and that’s when the magic would start. A video would start to play that showed a child point at the airplane and run off after it. The sign would also give the flight number and location that the plane took off from, and then it would go back to a very simple display about British Airways. Why Did They Take This Route? British Airways entered into the campaign with a few main goals, and one was wanting to remind customers of how many global destinations the airline operates out of. Next to that, they wanted to point out some newer destinations, and they hoped that it would inspire consumers to log on to the British Airways website and book a trip. On the other hand, this wasn’t a campaign that simply advertised a hashtag. It was all planned around a strategy that would help consumers connect with the brand on an emotional level. 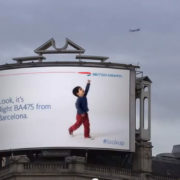 It’s a common practice for people to look up to planes in the sky and dream that they’re on their way to an exotic location, and this billboard found a way to bring back early memories of everyone who saw it. Using a child allowed viewers to connect with the feelings of being amazed by flight when little, and it avoided all the thoughts of disillusionment brought on by lost luggage and long delays. A dedicated webpage, ba.com/lookup, was created specifically for the campaign. It was designed to help customers easily convert their longings into bookings, and it enabled them to spend more time packing their bags. It seemed to work because it received more than 43,300 unique visits. Also, the video of the sign was viewed more than 1.3 million times online, and the campaign earned more than 45 million social media impressions. #Lookup was displayed under the video, and it was used more than 3,400 times on Twitter. The whole campaign was developed by the Ogilvy 12th Floor agency, and it was a success overall. At the Cannes Lions International Festival of Creativity, the campaign won the Direct Grand Prix. Similar concepts had been tried in other parts of the world, but this was the first of its kind in the United Kingdom. One of the biggest takeaways from this campaign is that advances in technology don’t necessarily have to mean the death of more traditional forms of advertising. Print ads may seem far less relevant than online media that keep customers one click away from a purchase, but these digital innovations can take certain platforms in a full circle. In a world full of clickable computer code, a giant video might be just what it takes to stand out from the crowd. Even if you’re not an airline, there’s a way in which you can harness modern technology to advertise your business using outdoor media. Get in touch with us if you’d like some assistance with a new concept, but first make sure that both your seat and tray table are in their full upright and locked positions! IBM has been using technology to make the lives of business people easier for more than a century, but they don’t exactly have the sexiest brand image. They’ve done a great job of promoting themselves as a no-nonsense company that will give you a solid bottom line, but that’s a difficult concept to translate into a trendy advertising campaign. 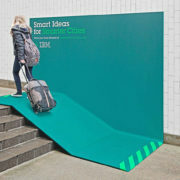 However, thinking outside the box, they recently succeeded in creating an outdoor media campaign so groundbreaking it’s being used as an advertising case study today! 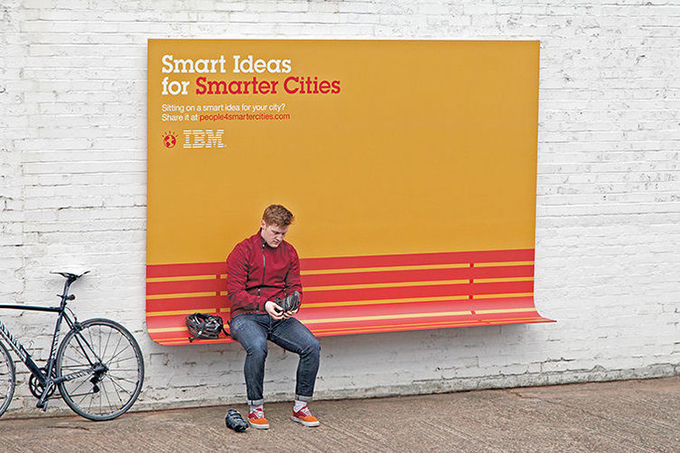 The campaign itself featured three unique billboards that all contained the slogan, “Smart Ideas for Smarter Cities,” and they did more than just look beautiful. They were placed in London and Paris, and each one was a very clever solution to a common problem that urbanites often face. The first was a two-toned billboard with an orange background and red outlines of a bench at the bottom. But, the clever part was that it actually curved outward where the bottom part of a seat should be, and pedestrians could physically sit on it. In other words, they did the opposite of a standard advertising practice, and they allowed a bench to connect itself to their billboard. The next billboard wasn’t extremely different from the bench, except it was blue, white, and upside down. This one provided what looked like an awning, but it saved many people from getting soaked while out walking on a rainy day. In order to make the third billboard, the designers had to break the mold and start over. This one was green and much larger, and it was positioned next to a few stairs. Obviously, it made sense to extend the bottom of the sign in a way that would create a little ramp up the staircase. It worked for bikes, wheelchairs, suitcases, and anyone else looking for an innovative way to get around. These signs are incredibly creative and impressive, but the actual purpose behind them is more mysterious. They were advertising the People 4 Smarter Cities Program, and this is one which has the goal of providing a platform for the spread of smart ideas. The aim is to create an easier and more efficient way for city leaders to hear the creative solutions that citizens and other cities have to the various problems of running a metropolis. The whole concept shows the advantages of thinking outside the box, and the People 4 Smarter Cities project is the type that can be difficult to educate the public about. Companies often try to push these ideas, but they get brushed off by the average person because they simply look like corporate propaganda. However, it’s hard to ignore a billboard that solves a problem, so people started paying attention. 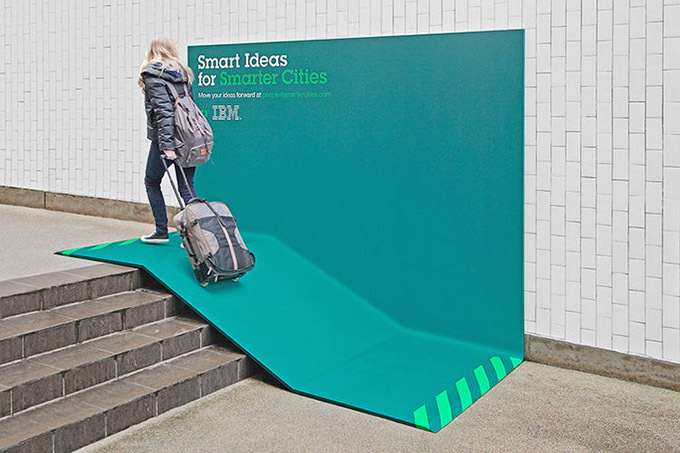 The People for Smarter Cities campaign was orchestrated by Ogilvy and Mather, and the advertising agency received a lot of praise in the creative world. At the Cannes Lions International Film Festival of Creativity in 2013, they won one of the most coveted prizes in the advertising industry, the Outdoor Lion Grand Prix award. The campaign was the top of 5,610 entries, and some of the reasons for winning included that they were such simple ideas presented in a new and innovative way. One of the most spectacular parts of this advertising campaign was how a very simple concept demonstrated the whole purpose of the program. The only physical difference between these and the millions of other signs on the street was a curve or a bend. Without those, it would just be a flat board trying to push an idea, but the presentation was an actual example of the kind of intelligent thinking that they hope to achieve. How Can Your Business Be Smarter? Many companies think that the product or service that they offer could limit having a fun, engaging ad campaign, but this just goes to show that even the most traditional businesses can still have a little fun with their creative power. If you’re not convinced, go ahead and reach out to us. We can certainly come up with some ideas to help your billboards turn heads. 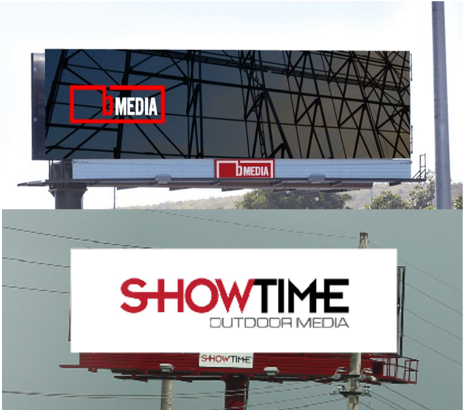 On December 18th, 2015 we acquired Showtime Outdoor Media, a local outdoor media company serving the Puerto Rico market. This acquisition makes bMedia Group the #1 local billboard media company in the industry. “During the past years, we have been working on making contributions to the market through strategic consolidations that help the local economy and improve the dynamics between clients and billboard advertising. The acquisition of Showtime is another key step in achieving our objective”, said Héctor Horta, who is also a founding partner of bMedia. 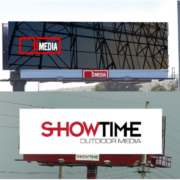 As part of this consolidation agreement, bMedia Group will have the support of well-known producer, Jose “Pepe” Dueño, who was the founder of Showtime Outdoor Media. He will join the team to facilitate the continuity of “both Showtime and bMedia are distinguished for the passion and the personal attention we provide to our customers. We are proud to be Puerto Rican entrepreneurs whose goals and achievements continue to contribute to our country’s growth”, said Dueño. Founded in 2009, bMedia Group provides first in class billboards in digital and static formats. The company offers strategic outdoor media advertising services, flexible solutions, and personalized services through a team of marketing professionals.